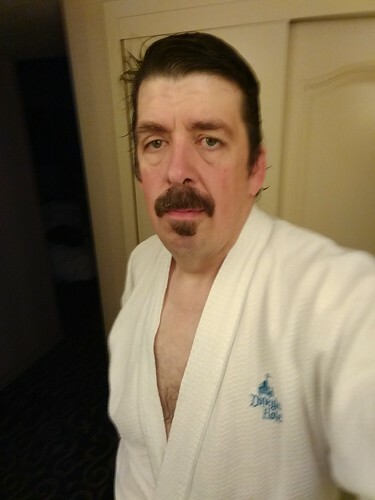 I fit into the Disneyland Hotel Robe, this would not have been true last year. Aiden slept in bed with me last night. Another Starbucks breakfast, this time at Downtown Disney. I enjoy walking between the Disneyland Hotel and the theme parks. I admire the security setup. Aiden really enjoyed the Tea Cups, but did not want to ride the King Arthur's Carousel. I didn't get a Sword and the Stone photo, I'll have to wait for next time. Another day at Goofy's Playhouse. Aiden really loves the slide. Chili dog for lunch, no bun. 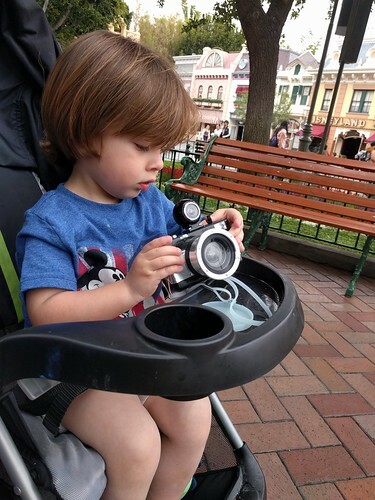 Aiden figured out how to snap a photo and advance the film, yes I still have film cameras and I am using them at Disneyland. 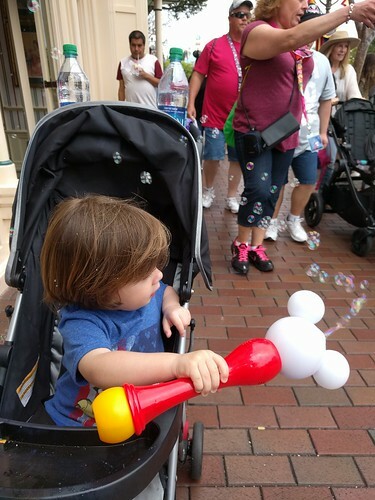 The Disney bubble wand gave Aiden easily 30 minutes of entertainment. We hung out with Steve, Kristen,and Rie. I am happy they came up from San Diego to see us. The first ride with them was "It's a Small World" It is Kristen and Rie's favorite. Without Kristen's suggestion we would have not gone to the Tiki Room, Aiden enjoyed the show, but not the show waiting to start. 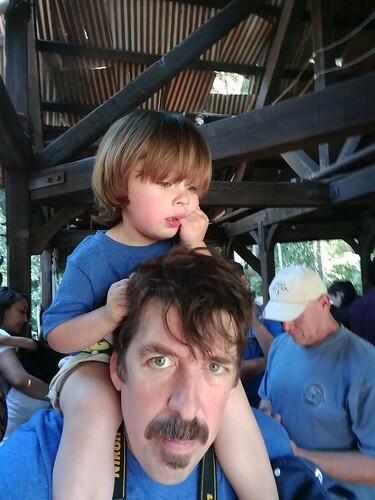 I had Aiden ride on my shoulders to keep him calm in line for the Jungle Cruise. 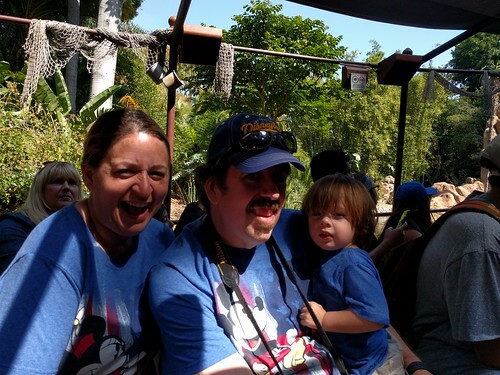 The Jungle Cruise could use a little bit of a rework. Aiden loved The Many Adventures of Winnie the Pooh. We had dinner at Rain Forest Cafe with Steve, Kristen and Rie. I am happy there are still some theme restaurants.